Online golf betting is gathering more interest as the sport becomes more popular. Professional golf as a spectator sport hit the mainstream long ago. Tiger Woods, arguably one of the best-known golfers in a generation, attracted new attention to the event. As he piled on win after win, the sport’s popularity grew with his status. It took golf betting online a bit of time to catch up (thanks in part to legislative hurdles), but today, it too has become a popular activity. Golf betting sites continue to draw a growing number of bettors each year. One of the advantages to betting on golf is that the field is less crowded than betting on football, basketball, and other major team sports. A lot of professional sports bettors, men and women making full-time incomes from their sportsbetting, devote very little attention to golf. If you’re willing to do a bit of research into the players and courses, you can make a consistent profit. Below, we’ll present the four major golf events that attract the most attention (and wagers). We’ll also describe the various bet types you’ll see at the top golf betting sites; you’ll find that they’re straightforward and easy to understand. Lastly, to help you hit the ground running, we’ll profile the four best golf sportsbetting sites we’ve used. Bookmaker – Simple account setup, easy deposits, and problem-free withdrawals. Bovada – Fast payouts and first-rate customer support. BetOnline – Great sportsbook for live betting during matches. 5Dimes – Quick payouts, generous reloads, and soft lines. The Masters Tournament – The first major tour of the year, it is always held during the first week of April. It is also hosted at the same location each year – the Augusta National Golf Club in Georgia. The number of players participating in the Masters is smaller than that of other tournaments. The reason is because players must be invited. The U.S. Open – Held on Father’s Day (weather permitting), the U.S. Open is organized by the United States Golf Association (USGA). In contrast to the Masters, it is hosted at a different location each year. The courses tend to be long with billowing greens. Use this to your advantage. The Open Championship – The oldest of the four major tours, it is the only one held outside the U.S. (in England or Scotland). The location of the event rotates among a group of nine links courses. The Open is held each year in July. The PGA Championship – This is the final major tournament of the year, and is held in the middle of August. Champions of the PGA tour are automatically invited to the other three major events for the following five years. Like the U.S. Open, its location changes. The above means a $10 bet on McIlroy would win $14 if he wins the event. Likewise, a $10 bet on Donald would win $22, and so on. The player with the negative number is the favorite. Here, if you choose McIlroy to win, you’ll need to wager $16 for the chance to win $10. If you choose Mickelson, you would bet $10 to win $25. You can also place future bets. These wagers are essentially long-term predictions. For example, you can place a bet in January that Rory McIlroy will win the Masters of that year (4 months ahead of time). One thing to keep in mind: although futures can deliver large payouts, they also tie up resources that could otherwise be used for betting on current golf events. Proposition bets are also popular. They can involve nearly any circumstance imaginable. For instance, the sportsbook might have a line on whether a particular golfer will make the cut for the PGA. Or, you might be able to bet on whether an up-and-coming player will finish in the top 3 of the Masters. Most prop bets involve the top-ranked golfers. Some focus on specific incidents, such as whether someone will sink a hole-in-one during an event. One of the keys to doing well when you bet on golf online is to avoid lesser-quality sites. These are sites that delay payouts, maintain draconian rules regarding their bonuses, and charge excessive juice. In addition, they may have very few golf betting lines, and lack any type of customer support. We’ve identified four top-notch golf betting sites that have avoided these issues. Each has built a reputation for service and a smooth, virtually problem-free online sports betting experience. Bookmaker – A lot of sports bettors consider Bookmaker to be a one-stop shop. That is, they offer so much that many folks disregard other online sportsbooks. (We recommend that you register an account at each of the sites on this list. That’s the only way to find the best lines.) Bookmaker has made it very easy to deposit and withdraw funds, giving you several options for each. They also offer lines on all of the major sports as well as many of the less popular ones. 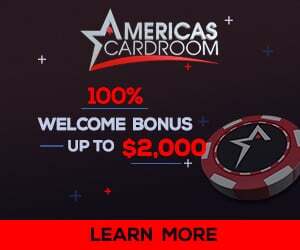 Visit Bookmaker today and use promo code “AMP” to claim a 20% match bonus on your first deposit. You’ll also receive a 10% reload bonus on each subsequent deposit. Bovada – The name may sound new, but the company has been around for many years. Bovada is the name for the new U.S. face of Bodog, a well-respected book that closed its U.S. operations in December 2011. They offer the same set of features and benefits, including a straightforward sign-up bonus, attractive lines, easy-to-use software, and first-rate customer support. You’ll receive a 20% matching bonus on your first deposit when you register your account. (The bonus is placed into your account within 30 minutes!) Use promo code “130347” to lock it in. BetOnline – A lot of sports bettors who participate at BetOnline mention the same features: it’s easy to get started, easy to place bets, and easy to request and receive payouts. In addition, you’ll find an seamless live betting platform, generous bonuses, and numerous deposit options, including credit cards. When you register your account, you’ll receive a sign-up bonus of up to 25% on your first deposit. All subsequent qualifying deposits will also receive up to a 25% bump. Visit BetOnline and use promo code “TXBONUS” to receive your bonuses. 5Dimes – Known by experienced sports bettors as the place to go to find great odds, 5Dimes has attracted a lot of loyal fans over the years. They offer several generous bonuses for new members, and allow you to pick the one you want. You’ll also find one of the longest lists of betting options available online. Long-time members highlight the company’s responsive customer support and easy-to-use software. Visit 5Dimes today, and choose your favorite sign-up bonus. Each of the four golf betting sites above has created an engaging sports betting experience for their members. They’ve simplified golf betting online, allowing you to get started as quickly as possible. We recommend that you visit all four, and test them for yourself.